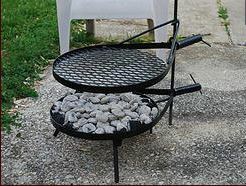 Well, I have only seen two types of open flame grills at camp grounds being used. The first were the tripods type grills. These caught my eye and thought they would fit the bill. But once I started looking at them, I found that most were very cheaply made and certainly not made in the USA. The tripod grills from Walmart were all made in China and flimsy. I did however find some that were made right here in the great USA but they were a little pricey. 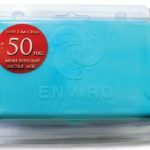 Not that I mind paying a little more for a well made USA made product, but I started asking myself questions which I always do when buying a product. 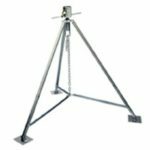 The first question was on storage, is a tripod grill easy to store without getting all nasty. Probably not, sitting over an open fire, I’m sure the legs and all get dirty. Then you have that most well made tripod grills, do not have legs that telescope down. It would have to go in the back of my truck. Next is how easy are they to use? I thought about putting my hands over an open fire to get heavy pots. I think it would be okay but I’m known to do a couple 12oz curls while camping. My verdict was I believe this is the type we will be getting (better USA made one). The Chinese made ones were just cheap. 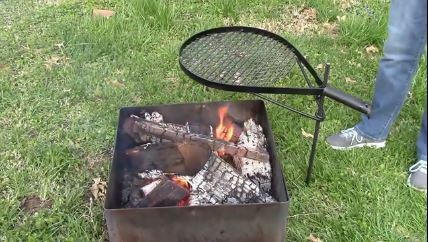 The next grill I researched was the grate type that you see at some campgrounds. These are made to sit on the fire ring. To be truthful, I didn’t spend too much time looking at this type. Being a grate, it is going to be sitting right over the fire. You can not adjust the height and it was going to get anything it touched dirty. Once I seen the price on these, I just stopped looking. They are heavy and going to last but just not what I was looking for. Then I ran into a little gem called the Snowshoe Grill. 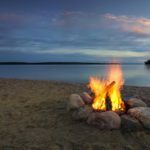 I forget how I found it but was just surfing around looking for ideas for our open fire grill and this thing popped up. Doing my research, I found out that they are made not to far from us in Owensboro Kentucky. That got my attention. Come to find out, these are made by a couple iron workers that specialize in blacksmith type work. So far, so good. Made in the USA with a USA supply chain? Yes. made by people that know what they are doing? Yes. Made for campers and not just a sale? Yes. I told the wife that I found our fire grill and ordered. The Snowshoe grill I assume gets its name from the look of it. It resembles a snowshoe or tennis racquet. I got the grill in about 2 days, probably because I’m close to them. It came in a regular box surrounded by rolled paper. Everything looked in good condition so I got it out. The grill itself comes three pieces and is all placed in a storage bag. This is nice for a couple reasons. It breaks down easily and has a bag to protect your camper so it can be stored. The grill has some pretty unique features that we are going to go over. Firstly, my favorite feature is the swinging of the grill. Once in place, you can swing the grill section off the fire heat to add, flip or do what ever to your food. Then you just swing it right back over the heat. This is a feature you can’t get with a tripod. The next feature is the height adjustment. It works off of friction of the stabilizer bar. So you can adjust the height by just tilting the handle a little. The next night, I made a big pot of chili using the grill. Turned out great. Even got that smokey flavor in the chili that I love so much. I can’t wait to try some fat steaks over an open fire on our next camping trip. While cooking throughout last weekend, we were asked at least 4 times on if I made the grill and where we got it. You have probably guessed it, I love it! Made in the USA by some hard working people that just happen to be half way local to me. It is easy to store in our camper, will not get the compartment all dirty, made out of all iron, wife can operate it and it is just plain cool. 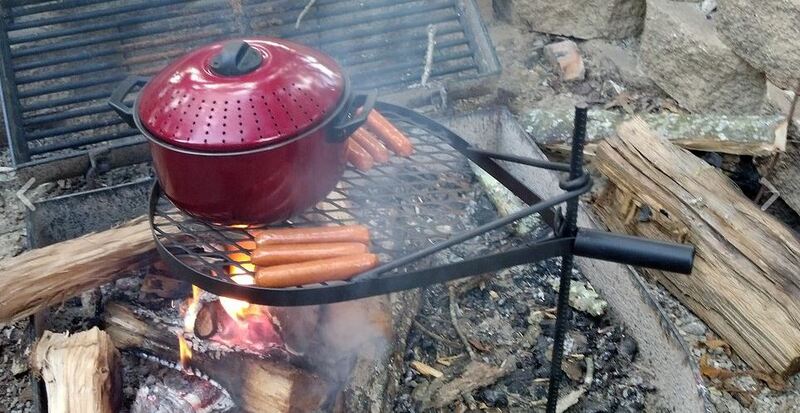 I would recommend this grill for any type of camping (easy to put in a pack). Notes and resources: I totally forgot to take pictures! photos and video on this review are used from www.snowshoegrill.com. I will get some photos on our next camping trip because I’m sure we will be using it.